The loveliest of weddings, with the warmest family. 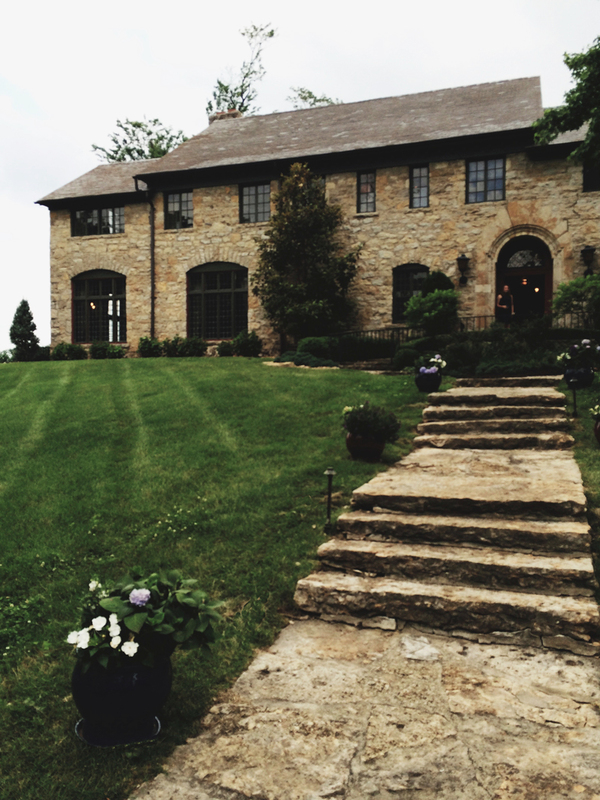 We spent one day in Kansas City, shopping and exploring and enjoyed delicious vegan food at Cafe Gratitude. 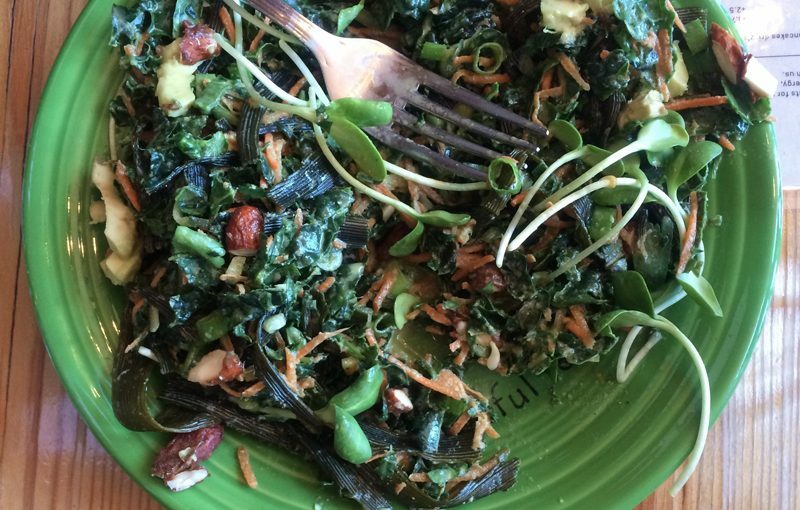 Cafe Gratitude has locations all over California, and just one in the midwest in Kansas City. 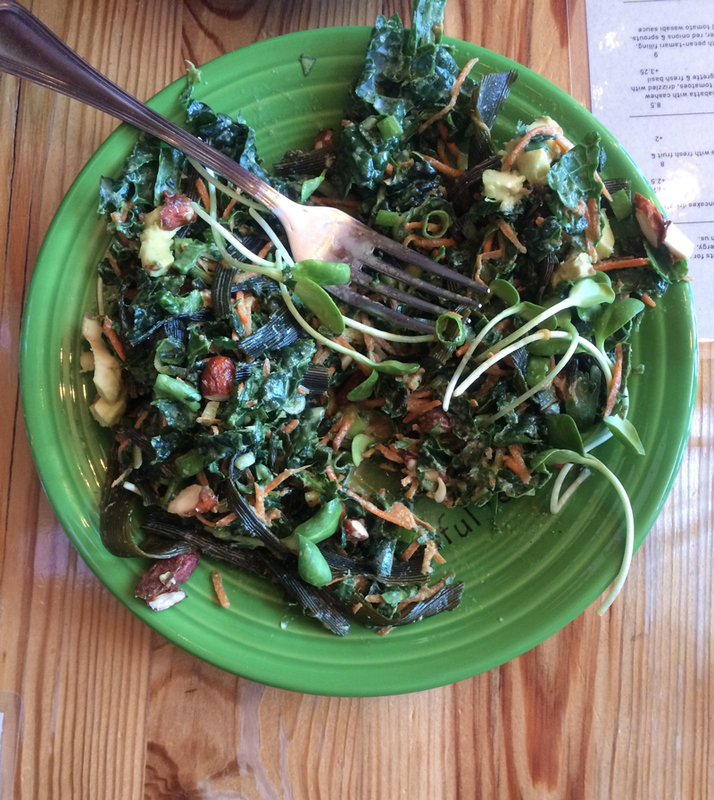 We ordered the Pure salad, marinated kale, avocado, sea palm, nori, cucumbers, carrots, cilantro, basil, green onions, teriyaki almonds, seasme-wasabi and garlic-tahini dressing which is pictured below in this post. We also ordered a handful of elixirs to try and their freshly pressed juice. This vegan food might have been the best vegan food I’ve ever had. I’d really like to visit them in Los Angeles and also see their sister restaurant Gracias Madre. Madewell the d’orsay flat in black leather // I always get nervous about what shoes I am going to wear to a wedding. Do I commit to heels? Do I possibly some how bring both flats and heels? All of my dress shoes are so uncomfortable. Well, not anymore. These Madewell flats, are not only comfortable but adorable!! These shoes were glued to my feet all weekend and never had one blister and danced all night long. That emerald dress- I am in love!